Applications of A192 Seamless Tubes : Heat exchangers, condensers, heat transfer equipments, superheater tubes for high pressure environments. Neelcon Steel setup Manufacturing unit of SA 192 Boiler Tubes at Ahmedabad (Gujarat) in Year 2008. Initially we started supplying ASTM A192 Boiler Tubes to boiler manufacturers, Condensers Manufacturers & Heat Exchanger Manufacturers in India, in year 2012 we started exporting to UAE,Saudi Arabia, Turkey,Qatar,Oman,Kuwait, Indonesia,Malaysia,Thailand, Vietnam & Singapore. our Carbon steel seamless Boiler Tubes become very Popular in Middle east & Far East Asian countries. 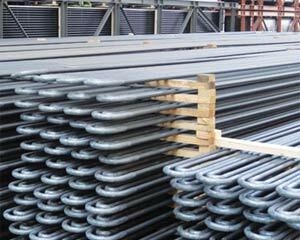 mail to info@neelconsteel.com to know SA 192 tube dimensions we manufacture, our technical team would be happy to mail you standard boiler tube sizes table. now Neelcon steel is approved supplier of ASTM A192 material in Public & Government sector companies in India like BHEL,ONGC,NTPC,BARC, IOL,BPCL & many more. the best material used for boiler tubes is Carbon steel grade SA192 due to its capability in high-pressure environment & Cost effective.ASTM A192 Boiler Pipes & Tubes are quite cheaper in India as compare to Taiwan,Europe,South Korea,Japan & China due to availability of Raw Material at Cheaper price and Labour cost.we use the certified raw material of worlds renowned manufacturers of Carbon Steel in India & Asia. as an Indian supplier of ASME SA 192 Seamless tubes for Boiler & Heat Exchangers we know our responsibilities & produce High quality Seamless Carbon Steel Boiler tubes at low cost in India.we supply SA192 tubes at best price in India along with Test Reports & raw material Documents. ASME SA192 Tubes are certified with En 10204 Type 3.1/3.2. IBR,NACE,HIC,IGC & IMPACT . we always have ASME SA192 Tubing stock for sale in various wall thickness OD & ID & different sizes to provide instant delivery in required size so our Customer can save time & money. Stockist & Distributor of ASME SA 192 Boiler Tubes and Now we are trusted Manufacturer of SA 192 Tubes in India. If you need any information about SA 192 tubes or ASTM A192 Pipes feel free to mail us at info@neelconsteel.com so we can provide you complete information about SA192 Tubing and its unique features. we can share information about Size range, shapes & Thickness available along with SA 192 Tubes weight chart & SA 192 Boiler Tubes Price List .check our online regular updated price of SA 192 Carbon Steel seamless tubes. Neelcon Steel can provide best price of SA192 Tubing in India.if you are looking for SA 192 boiler steel material price in India Neelcon steel is largest supplier of SA192 materials so feel free to mail us at info@neelconsteel.com you can compare our price list of SA192 Tubes with any manufacturer of SA192 Boilers Tubes in China. Applications: A wide range scope: heat exchangers, condensers, heat transfer equipment, similar pipes and as superheater tubes for high pressure settings. 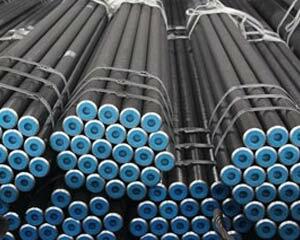 Neelcon Steel can supply various grades of seamless boiler pipes, such as A192. Description: ASTM A192/ASME SA192 seamless carbon steel boiler tube implements to carbon steel boiler and super heater substantial pressure and the minimum thickness. It is typically used for manufacturing ruthless boiler (The working pressure is not more than 9.8 MPa and the significant temperature is between 450℃ and 650℃. ), heating surface tube box, economizer, superheater, reheater, boiler water wall and steam pipe. Neelcon Steel seamless boiler pipes are featured with high yield strength, high tensile strength and high elongation. Pressure to succeed resistance is guaranteed in the very smooth inside material. 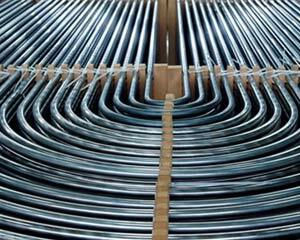 Neelcon Steel hot-rolled high pressure seamless boiler pipe does not need heat treatment. Very first last cold drawing, cold drawn high-pressure seamless carbon steel boiler pipe will enter into the micro oxidation non-oxidation thermal treatment air conditioner. 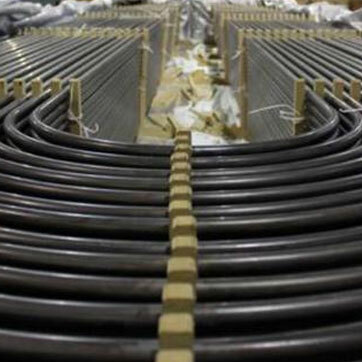 It will conduct heat treatment in the temperature of 1200℉ (650 ℃) or a more significant temperature, so how the surface of seamless carbon steel boiler tube is in non oxidation state and is relatively smooth, and the performance will are more stable. Neelcon Steel owns professional hardness testing equipment and professional testing personnel for testing seamless boiler pipes. Brinell hardness should not exceed 137 HB for those pipes with the wall thickness of during or equal to 0.200 inch (5.1 mm), while it will not exceed 77 HRB for those seamless carbon steel boiler tubes with the wall thickness of less than 0.200 inch (5.1 mm). Iwowwee configures multiple inspection machines, such as British UNICORN ultrasonic joint inspection machine, magnetic particle testing machine, eddy current testing machine furthermore has professional personnel. Inspection personnel are trained and uncover the appropriate qualifications for testing seamless boiler pipes. As stated by customers' requirements, Neelcon Steel high-pressure seamless carbon steel boiler tubes can do flaw detections. If requested by customers, home furniture also provide inspection reports. Can easily provide hot-trimming or cold drawing can be. Give us a call today to get all the information, +91-9819591024, If you're looking to buy or sell astm a192 Tube/sa192 tubing, we can help., call to our Distributor in India or mail us to info@neelconsteel.com for instant free quote of astm a192 Tube/sa192 tubing. Max length: 27000mm, U bending can be offered, also see the fin tubes. The problems of a material selection for making the boiler pipes in a responsible steam plant and the technology for their welding are considered in this paper. The boiler is screened, complex, radiating energetic plant, with the natural water circulation in the hanging steel structure. Based on the legal regulations, the mandatory periodic reparation of the most important components is performed. This is why the check of mechanical properties, for the used and new materials for eventual replacement and building-in was done, as well as the check of the prescribed reparation procedures. The components that were in exploitation were checked, since their properties change with time. Checking consisted of testing the tensile material properties at room and elevated temperatures, measurements of hardness and analysis of materials' microstructures. Besides the experimental tests, the numerical modeling and analysis of the workload of the fluid transporting pipes was conducted. In that way it was established which material is optimal for manufacturing the boiler pipes. Superheater tubes and reheater tubes in a comprehensive range of stainless steels and nickel alloys for a wide range of boiler applications.Superheater tubes and reheater tubes in a comprehensive range of stainless steels and nickel alloys covering outside diameters 12 to 260 mm (0.472 to 10.24 in.). Neelcon Steel Wholesale Various High Quality a192 tube, a192 tube suppliers, astm a192 tube, a192 boiler tube, a192 seamless tube, tuberia a192, a192 tubes, a192 boiler tubes, sa 192 tube, sa 192 tube equivalent, sa 192 tube dimensions, sa 192 tube specification, sa192 boiler tube, sa192 seamless tube, tuberia sa 192, sa 192 boiler tube, sa 192 tube material, sa192 tubes in all shapes and sizes and with any specifications that the clients, More then 1500 Worldwide.